Dr. Wells’ research interests include integrated approaches to prevention and treatment of substance use disorders, etiological theories and prevention of adolescent health risk behavior, and prevention of HIV risk behavior in adolescents and adults. Dr. Wells earned her BA in Psychology from New College in 1974 and her PhD in clinical psychology from the University of Washington in 1984. As a research professor, Dr. Wells currently serves as co-investigator for the Pacific Northwest Node of the National Drug Abuse Treatment Clinical Trials Network (CTN). This network, composed of teams of researchers and community treatment providers from 13 regions of the United States, seeks to advance treatment for substance use problems by conducting clinical trials of behavioral, medication, and integrated treatments in community treatment settings. As a member and chair of the network’s Research Utilization Committee, Dr. Wells has an ongoing interest in implementation of evidence-based practices in community treatment. She is also a co-investigator for Heterosexual Men's Perspectives on Sexual Behavior and Sexual Risk Taking, a mixed-method study of the “scripts” underlying behavior in sexual situations for young men ages 18 - 25. 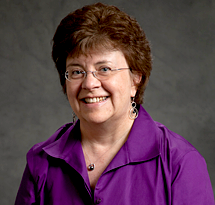 Dr. Wells has been a mentor to social work graduate students for more than 20 years. She has chaired and served on doctoral committees in the School of Social Work and other units, served as a mentor in the Pre-doctoral Research Training Program for Prevention Research in Mental Health Problems and Disorders, been a member of, and chaired, the PhD Steering Committee, and taught Social Work 587 and 588, Social Work Statistics I and II. As the School of Social Work Director of Research Operations from 2006 - 2009, she offered workshops in grant writing for doctoral students and provided support for grant development. She is currently teaching an advanced (career and dissertation) seminar for doctoral candidates.